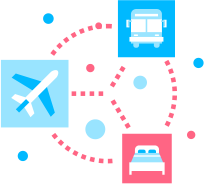 Manage travel products and use third-party integrations. Create various travel products such as accommodation, transfers, tours, activities, packages, flights and groups. Get the best prices from multiple third-party party suppliers such as GTA, HotelBeds and Travco. Book Galileo flights directly from the Lemax interface. Upload and manage complex price lists, cancellation rules, children policies and special promotions. Create packages from predefined travel components in the system and publish them on your B2B or B2C website. Increase sales with multiple channels. Improve efficiency and reduce your costs with a completely automated sales workflow. Expand selling channels and sell your entire range of travel products through online booking B2B/B2C, call centers, branch offices and affiliate program. Win more sales with quick responses and beautiful itineraries. Our powerful engine helps save time by quoting and invoicing your customers faster. Do your sales agents follow up leads? Use automatic follow-up emails and other sales and marketing automation tools. Increase your win rates by more than 30%. Increase sales by sending automated and customized emails to customers offering them the ability to purchase and enjoy additional travel products during their travels. 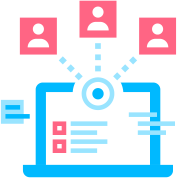 Everything you need to manage reservations, customer profiles, and communication with customers. Get insights into every customer or supplier. Replace your Excel files with our operations module to ensure all passengers get the services they order. Once an inquiry is received or a booking made, suppliers receive an availability request or reservation confirmation. The entire communication is centralized and archived. Complete management of accounts receivable and payable. Manage customer and supplier payments and invoices. Stay on track with actual earnings, due invoices and debts. Automate payment reminders to customers and get paid faster. A significant improvement in your money collection win rates. The simplest way to collect payment sooner. Integrate your existing accounting system with the Lemax travel software and save time on retyping invoices and payments. Eliminate manual work and mistakes. Increase your service with our marketing automation. Develop a relationships with your leads at every stage of the sales process. Automate customized emails to nurture your leads and increase the inquiry to booking conversion rate. Increase bookings by offering existing customers the latest products they might be interested in. Create first minute, last minute discounts or send coupon codes to customers to drive sales. 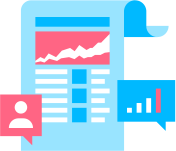 Use insightful reports to track business performance. 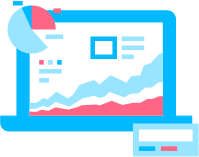 Use reports to see which customers or travel agents achieve the greatest value and grow sales by focusing on the most profitable ones! Check sales and revenue reports of high and low season periods and compare with previous years. Stay on top of goals and make data-driven decisions. Having trouble understanding the profitability behind complex travel products like tours, groups or packages? 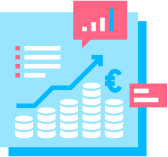 Use our powerful reporting engine to get accurate profitability reports for each product.